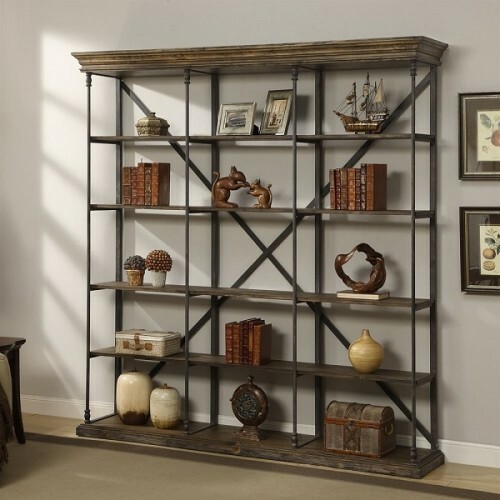 An eye catching combination of cool wrought iron and warm weathered wood, this bookcase has an industrial vibe. The antique brown metal bars support the structure vertically along with an X brace on the backside. The five shelves are a distressed Corbin Medium Brown, as is the top and base with its architectural molding. An eye catching combination of cool wrought iron and warm weathered wood, this bookcase has an industrial vibe. Height: 7' feet 2 ½"